This is it, friends. GreyCrow here again with the fourth and final installment in my tactics series, aimed at helping Raven Guard players get the most out of our the new Codex: Space Marines. This will be the longest post, and I’ll cover choosing the right units to make the most effective Raven Guard army possible. Let’s look more closely at what units can take advantage of the Raven Guard Chapter Tactics the most. Thankfully, by removing restrictions on Bulky units, the new Raven Guard Chapter Tactics has greatly expanded the number of units in the roster that can take advantage of Strike from the Shadows and Winged Deliverance, even though some restrictions still apply! I believe that Raven Guard Chapter Tactics strongly benefit units that can get into optimal positions on Turn 1 so that they can be at peak effectiveness starting Turn 2, but being in that position Turn 1 would leave them exposed without having access to the Raven Guard Chapter Tactics. To simplify, I believe that the units that organically benefit from the Raven Guard Chapter Tactics are both less-mobile infantry units with long range firepower, so they can afford to deploy in optimal fire positions with lower risk of being wiped out thanks to buffed cover saves, as well as close range units with sufficient mobility/deployment options. The latter are able to be placed more aggressively or make a bold movement Turn 1and withstand more return fire when taking advantage of cover-providing terrain or even in the open so they don’t end up a suicide unit. Doing this sets them up nicely for a very decisive second turn. Jump Marines of both Assault and Vanguard Veterans variants are particularly favoured due to taking the full advantage of both Chapter Tactics. The brand new Vanguard Veteran gets +3 to my cover save in the open and I reroll my charge distance as well as my Hammer of Wrath wounds. Order 5 right now and we’ll throw a pair of Lightning Claws for 10 points! Assault Marines and Vanguard Veteran squads: Taking advantage of Cover Saves, and being able to both reroll their charge distance and reroll Hammer of Wrath wounds with 2 to 3 attacks on the charge is a nasty volume of dice thrown at the enemy. Oh, and let’s not forget that all Vanguard Veterans power weapons have been dropped by 10 points each. Not trying to sound too prescriptive, but that is an offer no one can refuse! Bike Squads: While less damaging, they are more resilient, and their role as a linebreaker is further reinforced by a 2+ Jink save when they Jink in the first turn regardless of Night Fighting. They also can be used to provide a natural 5+ cover save to units behind, bumped to 3+ or 2+ with Night Fighting! Assault and Devastator Centurions: With a 2+ save, Toughness 5 and 4+ cover save with Night Fighting (2+ is simply partially obscured), these two units can afford to be very aggressive, even against high AP weapons. Scout Squads: With Infiltrate and Scout, they are able to be positioned precisely where you want them as long as long as they are further than 12″ from an enemy. Coupled with their new BS/WS4, you can take advantage of that sweet ruin in the middle of the table to Infiltrate 10 Scouts with Bolters right in the face of the enemy and still get a 2+ save. Scout Bike Squads: For the same tactical reasons as Bikes, bundled with the sweet deal of the free WS/BS 4! Terminators and Assault Terminators: The former due to being allowed a 2+ save while walking up the board and providing full firepower at 24,” negating the Plasma Cannons that would love to target them Turn 1. The latter being able to move then run up the board on the first turn while needing fewer Storm Shields. Several units take apparently less advantage of the Raven Guard Chapter Tactics, and these are the Tactical Squad, Sternguard Veterans and Command Squads, as well as Landspeeder Squadrons of any variant. For the Landspeeders, this is easy to understand in the case of a Gladius where they are competing with now highly efficient Assault Marines in the Demi Company formation. The simple truth for bolter-toting Tactical Squads and their more Veteran variants is that they lack both the intrinsic mobility and range to be able to organically take advantage of the Chapter Tactics, and they are highly deincentivized to take a dedicated transport. 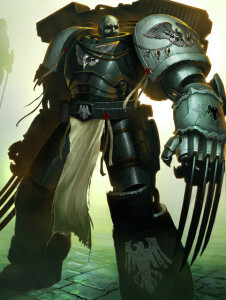 Not to say that they are useless in Raven Guard armies of course, but their role has changed due to the loss of Scout. If footslogged, they are more of a late game unit taking its sweet time to aim for midtable control by Turn 5. They will add table presence but will sacrifice firepower, which is why my Gladius typically only counts 15 Tactical Marines in 3 squads of 5. The Rhino Bait Shieldwall: Mount all your Tactical Marines in Rhinos as bait for anti-tank firepower at range aiming for first blood while using the Rhino chassis to block line of sight/provide cover save to the units that will benefit more from the Chapter Tactics. You basically give first blood to your enemy but hope it will distract his good firepower from units that have Shrouded. After all, even with a 2+ cover save, you are bound to roll a few 1s! The Shrouded Razorback: Using units that benefit from the Raven Guard Chapter Tactics, make a line obscuring your Razorbacks. With Night Fighting and in the open, both units will get a 4+ cover save, down to a 2+ cover save for the infantry obscuring the Razorback if some terrain hides them. 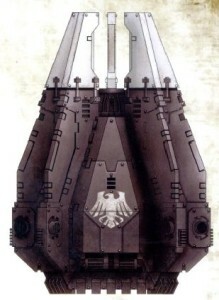 Razorbacks can still pump out mobile heavy weapon fire while delivering 5 men Tactical Squads in their optimal range. In any case, if your Tactical Squads were equipped with special weapons and boltguns, they are likely not to be using them in Turn 1, so might as well place them in Razorback. You can combine this with a Stormraven mounted Tactical Squad and Dreadnought that wouldn’t get the benefit of the Chapter Tactics anyways. I’m going to try this build in my next game and I’ll write up an after action report on how it went ! Don’t forget about me for your Tactical Marines, but don’t throw me mindlessly. Drop Pods and their contents are delicate flowers that need to be treated well to get any mileage from them. The Decapitation Pod Ambush: This is something I really want to try because I feel there is a lot of potential. This build revolves around aiming to give the first turn to your opponent either by losing the roll off or winning the roll off, deploying first, then choosing them to go first. In the case of your Demi Company, put all 3 of your Tactical Squads in Pods. Other Raven Guard units will be resilient enough that you can withstand the enemy’s first turn firepower due to aiming for 2+ Cover Saves. Then your Turn 1 comes and you start dropping Tacticals (and probably a Dreadnought as well) in the spots you want to claim. Because of lower model count, the opponent will probably have moved forward in his Turn 1 and diluted the density of his army, opening up opportunities for your podded Tacticals. Playing Maelstrom missions will also drive the opponent to be more aggressive in capturing objectives. Because they can only be fired starting Turn 2 onwards, you would not benefit from the Chapter Tactics anyways so putting your Tacticals in Drop Pod doesn’t negate any advantage they would have gotten. 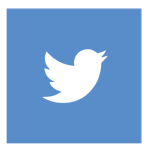 I really hope you enjoyed reading these articles as much as I enjoyed writing them, and that it will spark interesting tactical discussions! The new Space Marine codex is a great opportunity for Raven Guard players because there are so many options to buff up the army, from bonuses given by the Gladius and its unique structure to improved Chapter Tactics drastically increasing the performance of some of our iconic units! Please feel free to comment, and happy wargaming to all! What is the Gladius Strike Force? 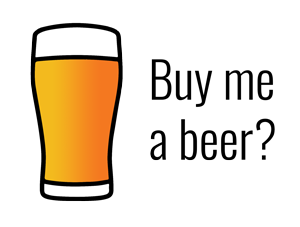 EDITOR’S NOTE: Once again, please, let’s all make GreyCrow feel welcome. 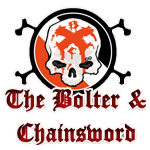 I have enjoyed his insight on Bolter and Chainsword and he’s putting the finishing touches on his own blog right now. Please comment and let him know you appreciate his work, and by all means let’s talk tactics in the comments! There’s nothing he enjoys more, I can assure you.